Filter Wrapped – Baughman Tile Co. In sandy soil types, infiltration of sand into the pipe can cause reduced flow and blockages that can be a big maintenance issue. Our filter-wrap, commonly referred to as “sock” material, is a great solution for this common problem. Placed around BTC perforated pipe, the sock material acts as a filter, allowing the water to get in while keeping the sand out. 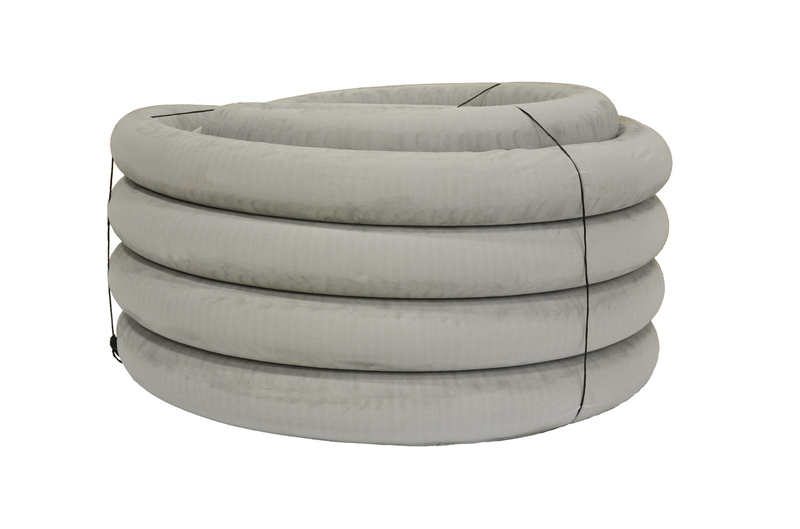 Any size pipe can be filter-wrapped prior to delivery or it can be purchased and installed on-site. This polyester material drain sleeve is manufactured to the requirements of ASTM D6707 and is white in color.